For an event organizer, a lot of the success (and profitability) is determined by how many tickets you sell. If you are looking to improve your sales, you need a better way to sell tickets online. Ticketstripe is a powerful, full-featured ticket sales platform for events of all sizes. Event organizers have used our platform to sell tickets to everything from rock concerts, food festivals, charity fundraisers and school reunions. 2) You’re using one of those massive platforms that holds on to your payments until after the event and offers limited features in exchange for low ticket fees. There is a better way (and a better place) to sell tickets online. Ticketstripe is user-friendly, offers competitive features, low service fees, and daily deposits. Our ticketing platform keeps all of your metrics straight and your stats easy to manage while tapping in to the power of search engine optimization, local search results, social sharing, and online payments. Use your own company logos, contact information, graphics, sales copy, and brand identity to create pages that are uniquely yours. This is a tremendous marketing opportunity that can help you build essential momentum to turn a single event into a long stretch of successful ones. And there’s no limit to the amount of unique event pages you can create. Tailor individual event pages to target specific audiences and watch your conversion rates climb. Plus, every event page comes with a customizable URL you can easily promote on social media and through traditional outlets like TV and radio. Ticketstripe’s event pages are 100% mobile optimized and viewable on any device—essential for capturing traffic from local searches in your area. 46% of online sales begin at a search engine and Google is king. Two key components of rising to the top of the results is solid local SEO and mobile optimization. (Google actually downgrades sites that aren’t mobile optimized!) And when people break out their smartphones, they’re looking local. 82% of mobile searchers use “near me” filters to find results around the corner. Better yet—88% of local searchers take action within 24 hours! With this information you can retarget any current campaigns (or create new ones) and redesign adverts to be more effective. Ticketstripe makes Facebook pixel tracking easy. Start getting that essential analytics data right away. Ticketstripe’s online ticket sales platform lets you easily create an affiliate program to promote your event and sell more tickets online. There’s no limit to the amount of affiliate accounts you can create and each one comes with its own customizable URL. This magnifies the effectiveness of your marketing campaign and can dramatically increase overall sales. Use Ticketstripe’s full suite of tools to promote free-to-attend events online at zero cost. This is a great opportunity for charities and not for profits to cash in on no-cost online promotion and ticket sales. One of the things that can strangle the success of any event (especially charity events) is lack of cash flow. Unless you have substantial capital at the outset, you’re really limited in terms of what you can do to make your event amazing. When you sell tickets online with Ticketstripe, we alleviate those cash flow problems with expedited payments. First, our platform accepts all major credit cards (which makes it easy for your customers to buy). Second, you get your money within just two days of every ticket sale which can mean daily deposits. 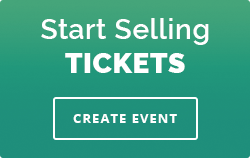 Sell Tickets Online with No Limits! Ticketstripe pulls out all the stops and lets you run as big a ticket sales campaign as you want. Unlike some of these other outlets that sell tickets online, with us you’re free to scale your sales machine up (or down) as needed at any time during the process. Unlimited event pages—create as many landing/sales pages as you need in order to sell your tickets online to multiple audiences of potential buyers. Unlimited registration and ticket sales—don’t hinder your event’s success with unnecessary restrictions. Unlimited ticket types—Create free tickets, VIP upsells, and special bonus offers to increase the number of tickets you sell online and bump up those incremental profits. Unlimited hidden tickets—Use promotional tickets to drive interest, create contests, and act as rewards for sponsors and exceptional promoters. Need a boost for your annual fundraiser? Sell tickets online. Online sales are a great way for nonprofit organizations to quickly and easily escalate their fundraising efforts to new heights. Your unlimited public and hidden ticket types allow you to accept donations online in various amounts. 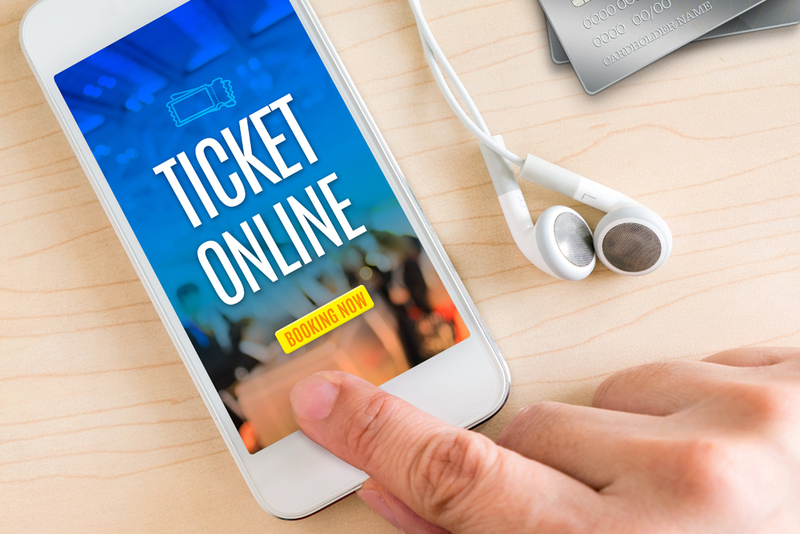 Not only does online ticketing eliminate many of the hassles and headaches associated with traditional event organization, it increases your ability to cost-effectively market your event to targeted audiences that are more likely to buy, donate, and participate. Ticketstripe offers discounted service fees (which are passed on to the buyer) for all nonprofits events so your charitable work goes farther. And free events are always free with Ticketstripe. Many platforms will help you sell tickets online but Ticketstripe helps you manage your attendance throughout the entire event planning process—even through the day of! Indeed, creating a great guest experience is one of the easiest ways to ensure word of mouth marketing, increased awareness of your brand, and improved attendance at future events. Ticketstripe helps you take care of all your ticket holders at the gate with our quick and easy mobile check-in app. Get your guests inside quicker and avoid bottlenecks at the door. You’ll never be caught wondering how to access all of our features or wondering how any of them work. We have product training available so you can take full advantage of our powerful online ticket sales resources in no time. Need help fast? No problem. Ticketstripe’s service staff is here to troubleshoot any issues you might have remotely. You can call us on the phone and speak directly or use our handy online chat to get your questions answered and problems fixed fast. Have a more general question or a less pressing need? You’re never left in the dark. Our email support staff offers quick turnaround on all requests with a guaranteed 24 hour response time. New to event planning and need help to effectively sell tickets online? Need a little guidance and advice? We’ve got you covered. Ticketstripe has created a growing library of success resources you can use to make your event amazing. From picking the venue to planning the event, from promoting your tickets to managing guests at the gate, from capturing metrics and customer feedback to making next year even better—we’ve got you covered. If you’re in the planning stages of your next event, let Ticketstripe be your online ticket sales partner. Come see the difference that thoughtful planning and a powerful platform can make to your sales, attendance, and profitability.